And I just realized my thread got sticked.. I got the same part# out of 2 Mach equipped cars, and IIRC Nick had one with the same # matching mach as well. Neither had the extra plug for the sub harness. Why would they duplicate P/N's for two different RCU'S? 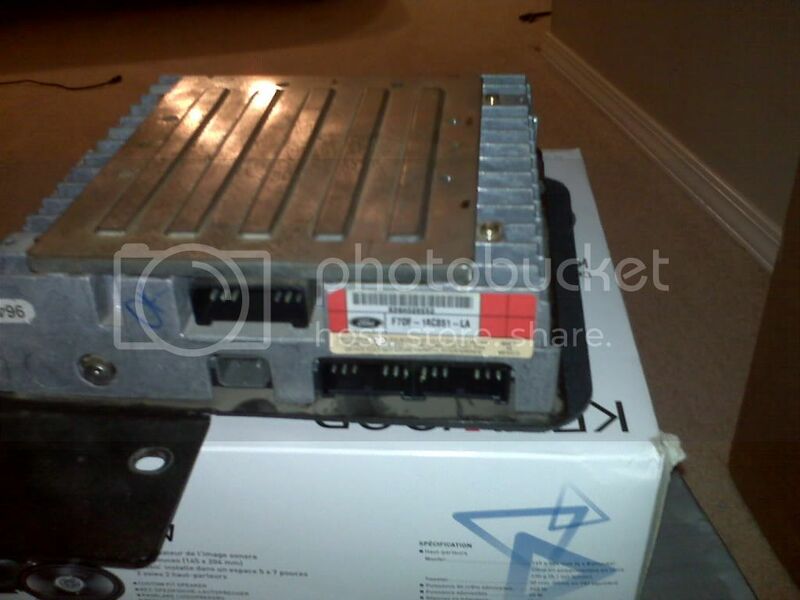 I have an opportunity to purchase both the JBL RCU and sub amp from a '95 SHO. 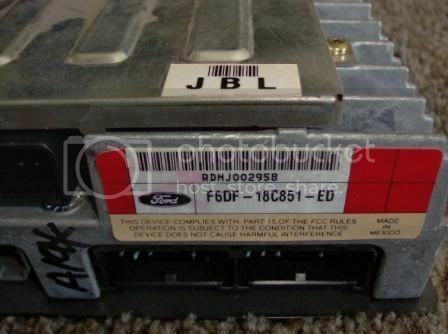 Part numbers F2DF-18C808-AB (sub amp) and F3DF-18C807-BA (RCU). Are these plug-compatible with the harnesses for my "stock" RCU & CD changer (2000 SE)? The JBL RCU is black and has the Ford/JBL logos and a cable hanging out of the side that looks like it connects to the sub amp. Not out of a 95, you need a JBL setup out of a 96. Fit in 2005 Gen4 Taurus?